Mali burst onto the international scene in January 2012 when disgruntled fighters returning from Libya renewed their interest in a separate state carved from territory in northern Mali. Their success in destabilizing the north led to a March coup, UN resolutions, the formation of an ECOWAS force, a French intervention, kidnapping and chaos in Amenas, Algeria, internal displacement of more than 204,000 persons, plus refugee flows of more than 200,000 to Mauritania, Burkina Faso and Niger—and that’s not the half of it. Watching from Washington, I thought that those in the Africanist community who cared deeply about Mali should form a “watch” to involve civil society in monitoring the situation. In Addis, at the 2012 African Union Summit, I asked Malians if a watch would be helpful, but Malian friends and colleagues said that a watch would be premature because they had not determined their own goals. So I waited. By October the situation had deteriorated with Gao, Timbuktu and Kidal in jihadist hands. The time was ripe for a watch. So, working with NGOs, the private sector, academics and Malian residents in the US, The Bridges Institute (the NGO that I lead), in conjunction with the Alliance for Peacebuilding, formed Mali Watch. It’s been a rich, diverse group that has collaborated to develop recommendations offered to both the US Government and the transitional government of Mali. But the views discussed here are not those of Mali Watch, rather they are my own. That said, Mali Watch has espoused three goals that are essential to restoring democratic governance to Mali: to regain territorial integrity; to hold elections when technically feasible throughout the country; and to restore social cohesion. I am particularly concerned about social cohesion and the feasibility of a free, fair, and credible presidential election on July 28th. 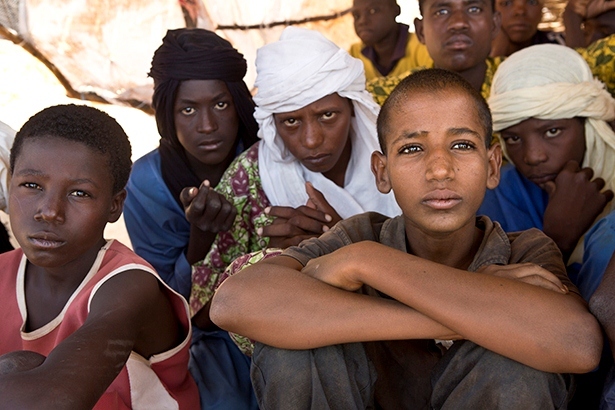 Social cohesion in Mali cannot be restored without addressing the Tuareg situation. Granted, there are other groups in northern Mali– Songhai, Moor, Peul–but the Tuareg have the most complicated relationship with the Malian state. After six months of reading about the Tuareg and trying to understand the culture, I am awed by the various clans and sub-clans of this people that stretch across the Sahel in Algeria, Niger, Chad, and Mali. There are nobles and commoners, black Tuareg and white Tuareg, nomadic and sedentary Tuareg. The Tuareg represent only 10 percent of Mali’s population, but the way that their situation is resolved will reverberate across the Sahel. Social cohesion is always difficult to achieve within a multi-ethnic state, especially a poor one with a north-south development split, and historic favoritism of some groups over others. Tuareg grievances in Mali date to colonial times when the French chose one clan over another. Various government efforts to address Tuareg demands have been advanced since independence in 1960, but all have sputtered. So here is a modest proposal to tackle the issue: national acknowledgement of Tuareg concerns; identification of intra-Tuareg alliances; re-building of a professional military; a facilitated dialogue among Tuareg, other peoples of the north, jihadists, and the military; and formulation of an economic development plan. First, to begin restoration of trust and social cohesion, all Malians must acknowledge the legitimacy of Tuareg grievances. This is easier said than done because some parts of the population are adamant that the current problem stems from outside forces. Second, the government should identify all the major Tuareg clans and sub-clans, analyze their relationships to each other, and assess the clans’ alliances—if any—to armed groups still powerful in northern Mali, including the National Movement for the Liberation of Azawad (MNLA) and the Movement for Oneness and Jihad in West Africa (MUJAO). Third, government must acknowledge that Mali cannot achieve social cohesion without a functioning military. Unfortunately, the Malian military has degenerated from being one of the most respected in sub-Saharan Africa to its current state of dysfunction: an array of poorly trained, undisciplined mini-militias charged with human rights violations of both civilians and rebels. The army needs long-term technical training, in-depth training on military subordination to civilian rule and special training on UN Resolution 1325, the responsibility to protect women and integrate them into the peace process. Fourth, after regaining control of all the north, the government—including the military–must find ways to work with both the population and the defeated rebels/separatists to maintain citizens’ and rebels’ loyalty to the Malian state. It is necessary but not sufficient to defeat MUJOA and the MNLA on the ground. Their jihadist troops can melt into the countryside, wait years if necessary, and slip back into communities any time they sense vulnerability. So why not negotiate and welcome Tuareg officials in the transitional government–if acceptable interlocutors to their northern brethren (no women are rebel leaders)—take the lead in asking MUJAO and the MNLA what it will take for them to commit to working together to strengthen the nation. At the same time, the government, through expansive consultations, should ask ordinary citizens in the north to work with these groups of former rebels and separatists to integrate them into local communities. Then, in community/former-rebel/government partnerships, develop concrete proposals to deal with common issues. These programs should have a life expectancy of three-to-five years so that a generation of young people learns new concepts of community, the nation, and religious tolerance. With the proposed deep engagement of the key players in the north, timing of the election becomes critical. Mali cannot hold meaningful elections if territorial integrity is compromised by sporadic rebel clashes, suicide bombers or returning jihadists. Elections will also fail if citizens are not invested in the process and are dubious that their electoral choices will be reflected in fair outcomes: Mali needs time for civic education. The Mali presidential election is set for July 28th, with legislative elections planned for September. In addition to the social cohesion challenges, skeptics and supporters point to other difficulties including: inaccurate voter lists; limited transportation; inadequate protection for the security of ballots, ballot boxes and other election-related materials; limited stability in the North; limited civic education; large numbers of displaced voters; and doubts about the military’s ability to provide security. The weather also may not cooperate, as roads become impassable, plus it is planting season from May to July. Lately, the phrase “as soon as technically feasible” has been getting emphasis. I have suggested a set of criteria that must be met by dates certain for the election to go forward on July 28th. For example, voter registration lists would have to be in place and secured two weeks before the election; ballots printed and secured ten days before the election; poll worker training begun six weeks before the election, etc. If those benchmarks are not met, then the election would be postponed for two to four weeks, or until the benchmarks are met. Many observers maintain it is risky to long-term stability to have an election in which citizens question its fairness and do not accept the outcome as a legitimate representation of popular will. I had vigorously opposed July elections for all of the above-stated reasons until hearing from Mali officials and civil society that they favored the July timeframe. Malians argued that for them the objective is to hold elections as quickly as possible, so that the country can return to civilian rule. The conversations were a replay of my discussions during the AU a year ago on establishing Mali Watch. Who am I to oppose what Malians are united in supporting? My conclusion is that friends have to state the cautions, offer suggestions, and then work as hard as we can to make their plans work. Vivian Lowery Derryck is the president and CEO of the Bridges Institute, an NGO launched to help strengthen African governance and democracy through social development projects and civil society linkages. She first visited Mali in 1973 and started Mali Watch in 2012. Learn more about the Bridges Institute at www.thebridgesinstitute.org. Photo attributed to UNHCR/ACNUR Las Americas, found on Flickr Commons. Please see my post on Africa in DC with some comments on this article.